The News Agency of Nigeria (NAN) reports that, “The Voice Nigeria’’ is a reality television singing competition. The two-day auditioning which began on Jan. 16 at the Bolingo Hotels and Towers Abuja will see the emergence of the best talent voice in the FCT. Mr Efosa Aiyevbomwom, the Head of Public Relations, M-Net African Magic Entertainment told NAN that the essence of the audition was to support, promote, and encourage young talents. The M-Net and African Magic believe in giving opportunities to young talents in the society and availing them the opportunity to showcase their talents to the whole world. It is our responsibility to always support talents in Africa, provide entertainment by Africans as well as giving talented Africans opportunity to shine behind and in front of the camera. This is just an extension of one of the things we have been doing over the years which is channeling our investment into the entertainment industry,’’ he said. Aiyevbomwom explained that winners would not be selected immediately. According to him, the audition is to enable them select the best talents, who will eventually make it to the show. We will get across to them after the final list has been concluded. Auditioning phase is more or less selection phase; in total, once we have the final cut and number, we will announce,’’ he said. One of the participants, Mr Vincent Anthony, said it was his first time to participate in an audition and that he was targeting to emerge as one of the best. Another participant, Mr Nissi Phillips said he was happy to attend “The Voice Nigeria” audition. He said it would be a dream comes through if he was eventually selected. Miss Mariam Kama, an Economics graduate of University of Abuja, who also participated in the programme, told NAN that she was optimistic of been among the selected ones. She said: “this is my dream and I know that I will go far. 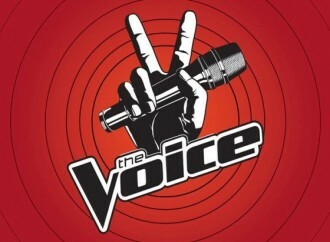 NAN reports that, “The Voice” is a popular singing competition franchise across the world. The auditioning kicked off in different part of the country simultaneously has other model – “The Voice USA,” “The Voice Australia,” “The Voice UK,” “The Voice South Africa, among others. The auditioning also took place in Port Harcourt and Calabar on Jan. 9 and Jan. 10, while Abuja and Lagos holds from Jan. 16 to Jan. 17.